Rebecca Fresco and Giney-Shaley Offerman, students of 3TK3 of the St. Jozef VSBO, had to do a project for the CAV (Cultural Artistic Formation) class. 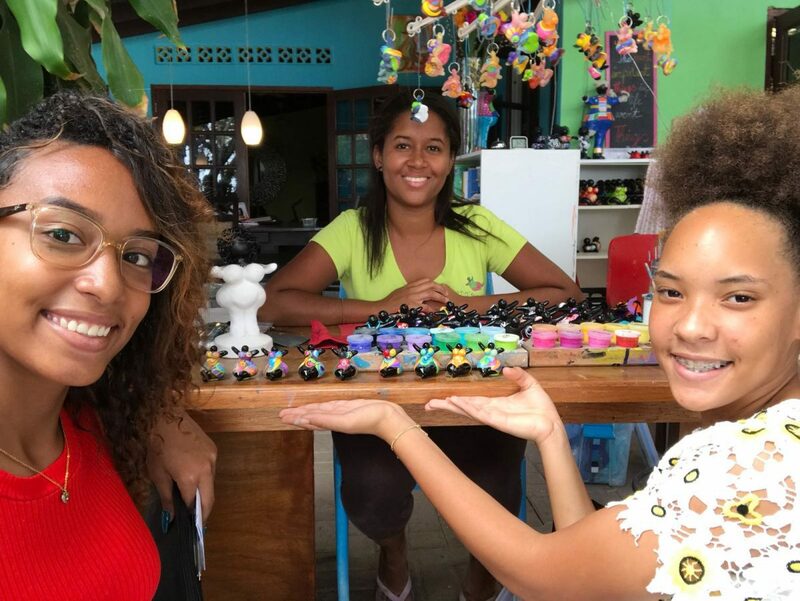 They came to visit the Art Factory and made an interesting project of it in Papiamentu. We are happy to share the result with our visitors. Rebecca Fresco i Giney-Shaley Offerman, studiante di 3TK3 di St. Jozef VSBO, mester a hasi un proyekto pa ku Formashon Kultural Artistiko. Nan a bin bishitá nos Art Factory i a traha un proyekto interesante na Papiamentu. Nos ta kontentu pa por parti e resultado ku nos bishitantenan.